The intial idea for “Common Ground” came from executive producer Gerald Seligman. He recognized that most of his favorite Irish albums all had a common player, Donal Lunny. When Seligman started working for the A&R group at EMI, one of the first things he did was take a meeting with Donal Lunny. 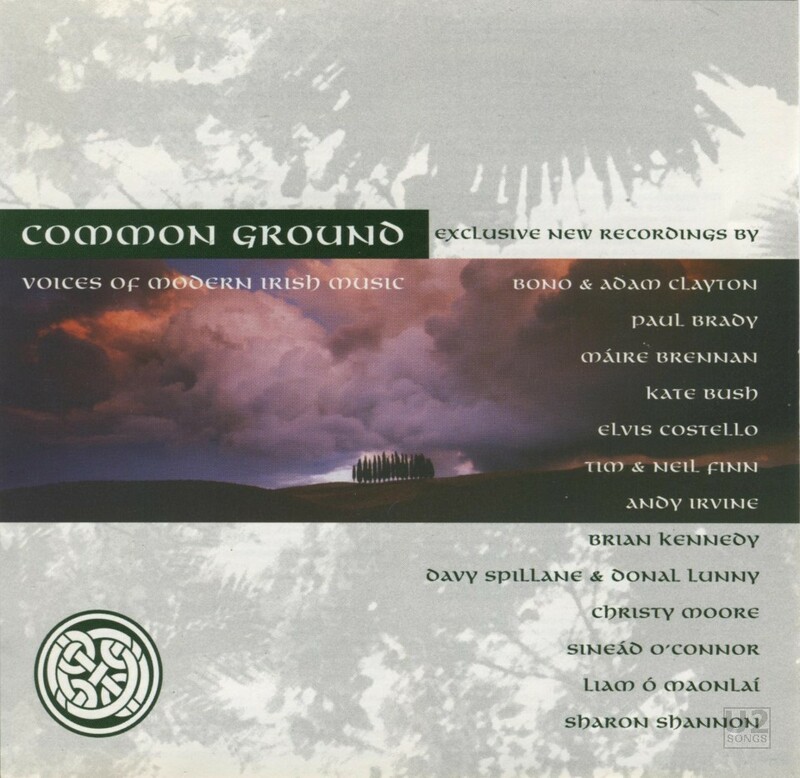 The discussion lead to compilations, and they decided not to just do a compilation of existing material, but instead they looked at doing a new album fronted by some of the great names in Irish music, but with a single backing band arranged and lead by Donal Lunny. Each artist was allowed to select a favorite song from tradition, to bring a original song that was written in the Irish vein, or to accept a suggestion from Lunny and Seligman. The project was opened to not just Irish musicians, but musicians of Irish descent who were sympathetic to the genre. It was Donal Lunny’s son Oisín who created the backing rhythms and samples on the track working with Stephen Daley. Donal Lunny performs on the track on bouzouki, bodhrán, and keyboards. And Sharon Shannon appears on the track playing button accordian. The song was recorded at U2’s Hanover Quay studios in Dublin, and Windmill Lane Studios in Dublin. Tomorrow (‘96 Version): Arranged by Adam Clayton, Paul Hewson and Donal Lunny. Bono: Vocals. Adam Clayton: Bass. Donal Lunny: Bouzouki, bodhran and keyboards. Sharon Shannon: Button accordian. Oisin Lunny and Stephen Daley: Beats and programming. Nollaig Ni Chathasaigh: Fiddle. Recorded at Hanover Quay, Dublin by Tim Martin. Assisted by Rob Kirwan. Mixed by Tim Martin, Donal Lunny, Bono and Adam Clayton at Windmill Lane, Dublin. Edited by Ciaran Byrne.